Life can be really difficult and we all need a little help at times. I believe that it is possible to work through your trials and I would love to help you along the way. I am experienced in working with people who are having issues such as ADD/ADHD, anxiety, stress, relationship difficulties, parenting challenges, depression, grief and trauma. I am licensed in Texas and work with children, adolescents and adults. I was blessed with 3 children who all have ADHD and anxiety and therefore have spent many hours researching ways to help them live a happier life and would love to share this information with you. I believe there is always a positive aspect or lesson to be learned in every situation. I look forward to working with you to help you find a way to understand what you are going through and to ease the pain and frustration that may be associated with your current issue or problem. My counseling style is client centered, non-judgmental and easy going. I am fully accepting of anything you share with me and I want to be sure you feel comfortable and safe in the client-counselor relationship. Everyone has a story to tell and when you are ready to share yours I will be ready to listen. I look forward to hearing from you. Jennifer is such a great counsellor. She is so nice and understanding and easy to talk to! Jennifer is amazing! She has helped me through a lot of trials and always offers neutral/supportive advice. Definitely a great person to unload all your troubles to. Would definitely recommend her as a counselor. 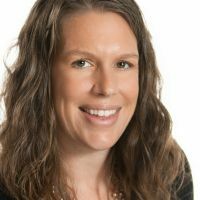 Jennifer Smith offers a solid sounding board for personal troubles, conflicts, and situations, and plans for change, as well as very good advice. She checks in to make sure things are ok, which is nice. I was diagnosed with a misunderstood condition in August 2018. One that usually scares people away. Jennifer not only did not back away, she made sure she understood my condition and agreed to work with me. And last week, I've started seeing concrete results. Props to Jennifer! She is so lovely, good at responding and she is really helpful. She gives you good strategies right away. She is amazing. Jennifer is caring and understanding. Her use of personal experience lends an extra level of understanding and compassion. She is quick to return messages and checks in if I haven't messaged in a while, ensuring that I am well or if I need to chat. I appreciate her touching base and shining a light on me, when I haven't had time to focus on me at all. Jenn is the best counselor I've ever encountered! (although she's only the second one). But I don't care, she already knew my darkest secrets and she was never judgmental. Two thumbs up! Jennifer is very patient and understanding. She offers interesting insights and advice. Jennifer has been patient and attentive. Given that there's a massive time difference, I could not ask for a better service. I appreciate and value the input that she has given me. Thank you. I have only talked with her twice, but she seems to understand my issues and is helping me to deal with them. I do like the format of being able to write things down to communicate. Also, speaking by phone is comfortable for me with regards to being able to cry. Crying in front of someone is hard for me. Jennifer is very helpful and knowledgeable. It's nice to have somebody that really pays attention to what I say. I always feel better after sending a message to her, as I can trust that I will get a good response later. Jen is pretty cool to talk to, great balance of support, relatability & empathy while keeping things real. I have been with Jennifer for two sessions and she has been so wonderful. I feel so great after speaking to her and being able to get my feelings off of my chest. She is very supportive and gives my great feedback about the things we discuss. She was my first match and she’s perfect. Jennifer has been enormously helpful! She is straightforward and understanding and has encouraged me to look at things in a different light. I am very grateful for her invaluable insight on issues that have impacted me for many years. It feels like Jennifer is helping me get things into perspective and the health benefits of that are starting to show. I am so glad I was matched with her. I've been with Jennifer for a few months now, and I honestly don't know what I did before her. She's kind, patient, and so open-minded. Her relaxed style of therapy has really helped me open up about issues buried deep, and I know I can tell her anything. She is a great listener and has given me a few tools to help me. Jennifer has supported me through a difficult and confusing time in my life, and helped me to talk about things I can’t talk about with almost anyone else. She’s helping me find tools to manage my intrusive and obsessive thoughts and anxiety. She is very nonjudgmental, patient and responsive, and she gets my patterns and knows how to help me when I crash. She seems to know what I need to hear. Definitely the best counselor I’ve had. Jennifer was amazingly helpful and professional. She helped me with my issues. Thanks so much. Jennifer offers me so many choices when I feel like I've been back into a corner. Life is overwhelming, as a newer professional it's that and stressful, Jennifer has helped me gain and I am grateful for this. Jennifer is a very understanding and easy to talk to. She helped me through so much. She does not rush you and takes the time to really listen. She is a great counselor to share your story with. Jennifer is a great listener and always makes me feel supported! She gives great advice and I feel like she truly understands me. Jennifer has a unique style that works well with me. I appreciate her compassion and her patience. She is a great listener and gives great suggestions for me to work with. Jennifer has been very helpful for me. She listens and understands me and doesn't judge me about anything. She give me tools to help me and they worked. I'm looking forward to continuing with her. Jennifer Smith has helped me see the little things that I tend to forget to do, and gives positive feedback. Jennifer is very easy to communicate with. She is direct and cuts straight to the heart of the matter. Its almost like she is able to give you real time advice on how to improve your life. I was skeptical at first but am convinced after interacting with her. She is very responsive and provides helpful feedback. I like that she lets me email her during the week even when we don't have anything scheduled. Jennifer has been a great help these past weeks and months and has taken me from a place full of doubt to becoming more confident, balanced and happy. Thanks Jennifer! My talks with Jen often start with me not knowing what I want to talk about but by the end of each session I’ve learned something new about myself. She has given me advice and tools to help deal with situations well and helped me to resolve a number of arguments and situations. Jennifer has helped me through a bad break up when I knew I needed to seek professional advice from a toxic relationship. She recognized the traits of sociopathic abuse that I didn't necessarily see myself, and was genuinely caring and supportive. I would recommend Jennifer's counseling. She is the best! I accidentally clicked disagree on responsiveness but I meant to say very strongly agree! I couldn't have imagined this kind of help would be available. Jennifer is simply amazing, and she is always there. I have corresponded with Jennifer now for a couple of weeks. She is very timely on her responses and understands the major points to question me about. I like it better than typical therapist since I have time to go over what I would like to ask and review what Jennifer and responded to me about. I am a returning customer. I enjoy talking to Jennifer, as she asks the right questions, does not judge, and helps me to understand what happened, why it happened, how to fix it, avoid it, and live with it. Jennifer, thank you. I started working with Jennifer in July and I was a bit skeptical at first I have been to a few councillors before Jennifer and non of them helped me, but with Jennifer she cares about what I have to say and does not judge me, which is a big thing for me. I have revealed things to her that no one else knows and we are still working together but I already notice a change in my behaviour and Jennifer is an amazing woman she has a lot of patience and understanding. I would highly recommend Jennifer to everyone. There is no other councillor I would trust. This is my first time taking counseling online and I can say I will continue. Jennifer has made me feel welcomed to express myself with out any judgement, which I am thankful for. Jennifer has been fantastic to work with! She respects my story and stays true and real to the facts. She sometimes transcribes my feelings into words when I can't, if there is a click with a counselor, this is it. Jennifer is the first of over a dozen counselors/Psychologists who has actually listened to me. It's the oddest thing in the world to say that, but her primary expertise is in actually doing her job. Highly recommended. Jennifer really listened to my issue and gave me useful tools I could apply to change my behavior. I appreciate her ability to quickly respond to me and give me honest feedback. I would highly recommend her. She isn't afraid to tell me what I need to hear even though it can be harsh. I respect that. She is doing a good job helping me move on. I enjoy having her as my counselor. I believe there will be a light at the end of the tunnel thanks to her. Positive and down to earth, I had a good experience with Jennifer! Jennifer is very patient and attentive. She offers smart, sensible advice and suggestions. She Is quick to respond and addresses both long term problems and offers strategies for handling more temporary issues. There is no judgment and I feel I can tell her anything. She never dismisses anything as trivial or silly. Jennifer has been a great help to me. She was able to see the bigger picture and help me realize somethings that I didn't see. She's great at giving advice and hitting the nail on the head when I can't express myself fully. She understands my scattered thoughts and helps put it in a perspective that I couldn't do on my own. Jennifer's guidance has been invaluable in identifying the underlying causes of my anxiety and in giving me practical ways to work through it. She is smart, insightful compassionate and, above all, extremely responsive. I recommend her without hesitation! My first time speaking to someone about my anxiety issues and Jennifer made it so easy. She was very responsive and immediately I felt comfortable sharing my thoughts with her. She made the process a positive one. I would recommend her 100 times over. Jennifer is unassuming and highly skilled at what she does. While it was painful to spell out each of my shortcomings, it does help with healing. I am thankful to her for being there when I need someone to talk to. Jennifer is a great listener and is compassionate and clear. These are great characteristics in a therapist. I feel heard by her and I respect her opinion and advice. Working with her has been a productive process, helping me work through questions and issues I have both effectively and efficiently. I really like Jennifer, she understands me and gives me good advice. I am so much stronger than I ever realized. Jennifer, and this service, are making my life better. Baby steps become marathons, just take your time. Jennifer is easy to talk and relate to. Her wisdom and guidance have helped me immensely. I'm not running marathons yet but, with time, I'll get there. Thank you Jennifer, and Better Help. I came to Jennifer to help me overcome some problems I've struggled with my whole life. I've seen three counselors in person in my life, all more experienced than her but each of them missed what she caught in our first phone session. I'm a 39 yr old woman who has ADD and never been diagnosed or treated for it! It has changed my life for the better in so many ways, and given me tools and hope for a better future. I highly recommend her, especially live phone sessions! Jennifer has been amazing. She regularly checks in with me and offers great advice when I need it. Thank you so much for all you do. I've only been working with Jennifer for a short while, and it's been eye-opening and helped me a great deal. I find myself stopping to think about our conversations before I react to certain things. I look forward to what the future brings. I really appreciate Jennifer's direct approach. Very quickly I was able to identify problems and work on solutions. 100% honest with what she can and can't do. Rather than trying to force some level of understanding. Even if she can't help she will point you in the right direction. She's been incredibly helpful. She's extremely intuitive and most certainly empathetic. She picks up on thoughts and delves deeper with a grace that makes you feel comfortable. Jennifer wrote a prompt and thoughtful reply which has helped me to identify a number of things I could work out for myself. She's good and cares a lot. She is very wonderful, and very responsive. She is helping me so much with my general anxieties and depression. Love her! Jennifer is a very compassionate, patient, and nonjudgmental person. I've only been working with her less than a month, so I still have a ways to go before I solve the problems that I came to her for. It has really helped knowing that I can always turn to her (like you would turn to a good friend when things go sour or you just need to vent). I don't think I could have been matched up with a better counselor. Her responses are very informative and quick. She puts things in perspective for me and makes me challenge myself to look at things in different views. Incredible person. She is just amazing! Her constant, consistent, and steady voice of encouragement and support has definitely had a stabilizing influence in my life in such a short time. I have gone from being discouraged and maybe even a little depressed to my wife sitting up and taking notice, that I am now a man on a mission. Her counsel has propelled me forward and held me accountable to myself. She has driven me to identify my deepest values and to keep me moving forward in small consistent actions against achievements that would bring me and my family the ultimate happiness in this long journey called life. The highest testimonial I can give her is that my wife told me that if she ever meets Jennifer she is going to give her a great big hug. Jennifer is kind and insightful, offering practical, action-based solutions for you to take tangible steps towards getting healthier and happier. Jennifer made me feel comfortable sharing from the very beginning. She is very encouraging, positive and constructive in her approach. I truly enjoy our correspondence and feel like we are making true progress. I have been working with Jennifer for a couple of weeks now and I feel she has been very helpful to me. Jennifer is quick to respond and offer feedback. I look forward to continuing working with her.. I am so grateful to have stumbled across the BetterHelp website and was matched up perfectly with Jennifer Smith as my counselor. Jennifer is a compassionate "listener" and so thoughtful in her responses. You can tell she really cares about the people is helping on this site. I look forward to her replies and insight throughout the day and often refer back to previous days' advice. Looking forward to continuing to work with Jennifer in the future. Jennifer was there for me within 20 minutes of my first message, and always answered sincerely and genuinely. I could tell even through her writing that she cared about what I was saying and how I felt. I think I even made her laugh a little bit with some of the craziness in my life! We were perfectly matched right from the start. Uplifting, determined to help, Jennifer has opened my eyes and has been assisting me with my fears, my anxieties. I've thrown some hardballs but she's been knocking them out of the park. Jennifer has been remarkably patient and enduring. I'm not a particularly easy patient since I tend to be very controlling of what I want to talk about, and a lot of therapists can't really push me on the things that I'm happier avoiding. But she has actually been able to figure out when I change the subject, and at the same time is able to talk about multiple subjects at once while giving me time to mull over older subjects and come back to them later. She responds every day, and sometimes when we find a hot topic even multiple times within a day, but at the same time understands that sometimes there will be lulls. My only complaint is that she will sometimes pursue a particular topic beyond when I have anything else to say about it at the time and it can be difficult to determine the next subject, but that's as much my fault as anything else, and it's certainly much better than the alternative of just giving up on subjects. Jennifer is a wonderful counselor. She is compassionate, caring, and incredibly honest. Working with her is great because you can move at your own pace. She offers sound advice that is also very practical. Jennifer also has a unique way of understanding what you need and being that support system for you. I highly recommend working with her. I have experienced positive changes in many areas of my life (personal, financial, spiritual) since scheduling that first session. Thank you Jennifer. Having counseling with Jennifer has been a great experience. I have faced a lot of life changes and it was causing me great stress and anxiety. Jennifer has helped me put things into perspective and work through every thing. She has helped me to keep my stress under control. I have had a great experience! Jennifer was very helpful and responded quickly. Jennifer is amazing! I am not one to usually be a comfortable sharer of my personal life but she has definitely made me feel very able to share everything comfortably and she has always been helpful about it all. Whatever ups and downs I go though she is supportive and there for advice and messages that are absolutely perfect for helping. She relates, doesn't judge, treks you the sometimes hard truth, but never in a way that makes it hard to hear. She responds quickly and when she does I am always better off after reading what she writes to me. I wouldn't be able to thank her enough for everything she has done to help me. A truly wonderful counselor! I think that Jennifer Smith is an especially professional and adept therapist. She promptly responds with excellent advice. She has helped me through some of the most difficult spots in my life and her range of assistance and knowledge is impressive. Jennifer has been very helpful and compassionate towards me. She is also tough when she needs to be. I am really glad to have her to help me through some really difficult times right now. Jennifer is a wonderful person and professional. She is very responsive and provides very valuable perspective and ideas. I appreciate her very much in my life. She has a way of shining a light from a different angle on things and is very calming. I hope to work with her for a long time, as needed in my life. Would you like to write a review for Jennifer Smith? We'd appreciate if you can spend a couple of minutes to write a short review for Jennifer Smith (LPC). This review would be shared with Jennifer Smith. It may also be posted in our website or in Jennifer Smith's profile but it would be anonymous and your identity would be kept completely confidential.